If this meme looks familiar, it's because I made a slight update to it before I deleted the original one. I THINK AN UBER RIDE IS MORE RELIABLE THAN ONE FROM A SELF-DRIVING CAR. OH, YEAH? 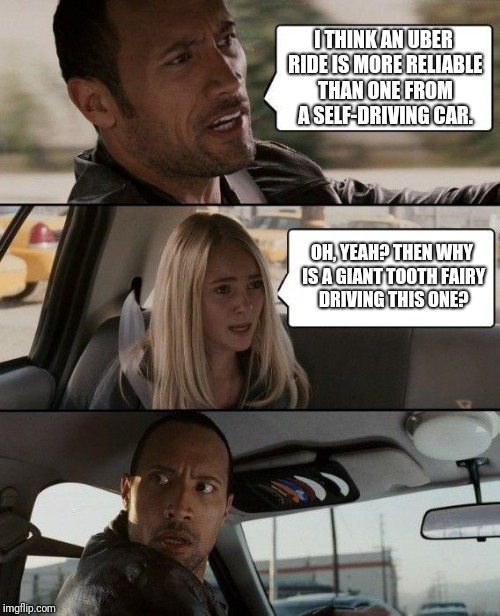 THEN WHY IS A GIANT TOOTH FAIRY DRIVING THIS ONE?